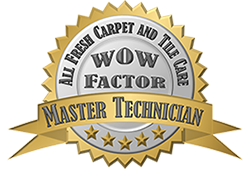 All Fresh Cleaning are experts in carpet cleaning and stain removal – we make your carpets last longer and help create better indoor air quality. Carpets attended to by All Fresh stay cleaner longer than any other process – a bold claim that we stand by 100%! All Fresh have a process for commercial carpet cleaning that enables our staff to continue working whilst we are cleaning your carpets as it is fast drying and unobtrusive process. Contact us today for a cost-effective maintenance program tailored to your individual workplace needs. All Fresh Carpet and Tile Care recommends the Mould Doctor to remove household mould from your walls and ceilings. The Mould Doctor can also treat your air-conditioner making it healthier, more efficient and saving you money on your energy bill.